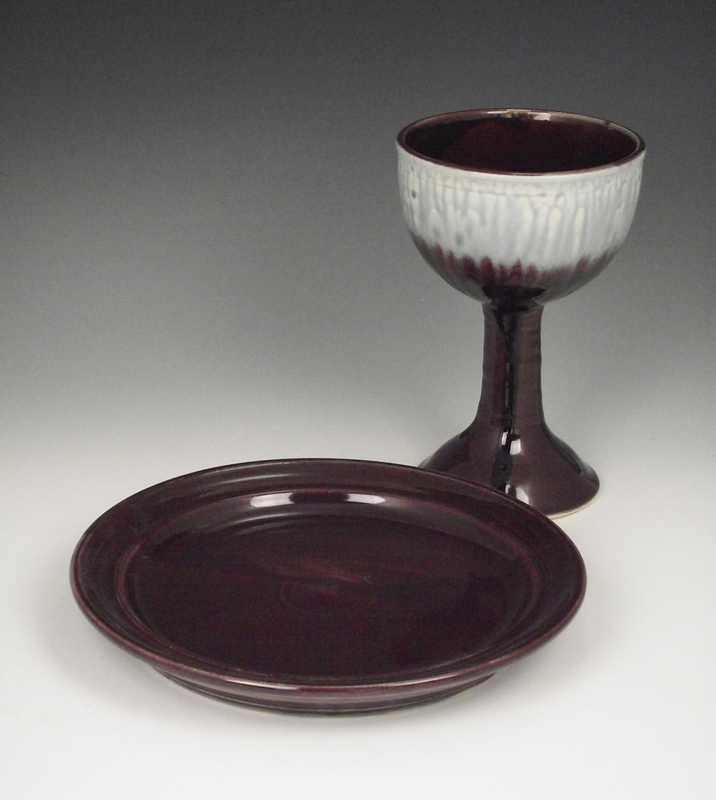 Each Faith Vessels Communion Set is wheel thrown from the finest English porcelain, then hand trimmed and glazed in your choice of five exclusive rich color combinations. 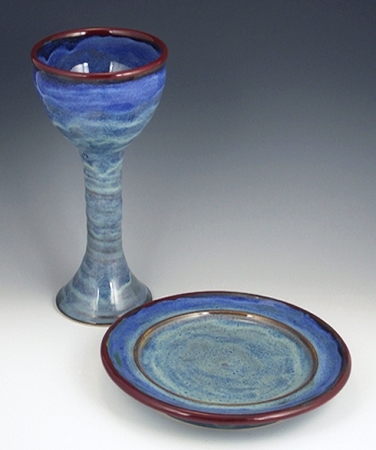 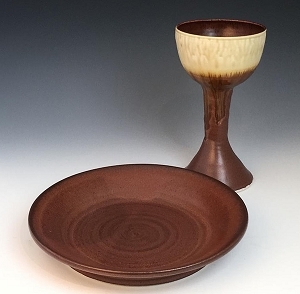 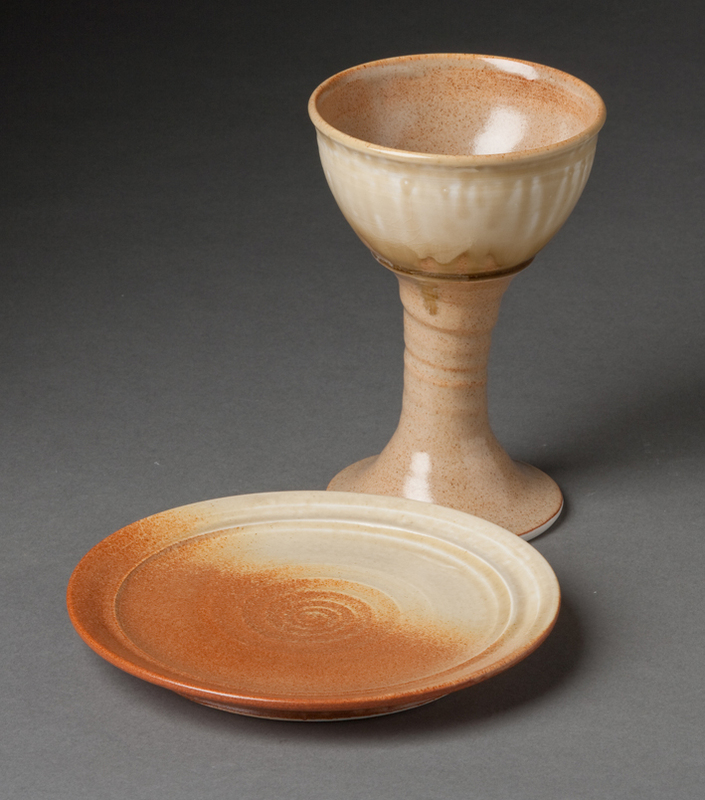 Every piece is created by studio potter and former United Methodist local pastor, Hue Parnell. 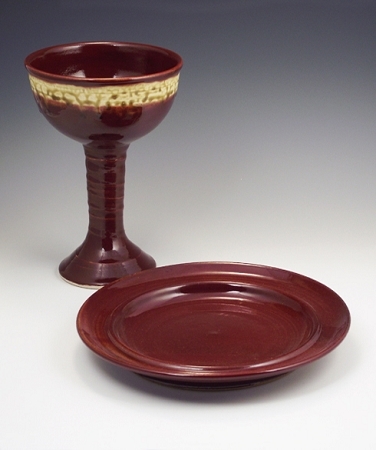 Communion Sets are thoughtful gifts for your church when purchased with designated memorial funds in memory of a beloved church member.